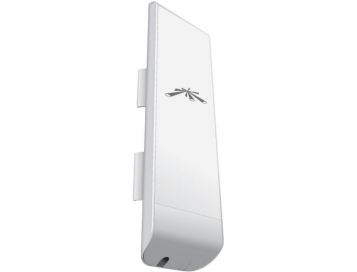 The Ubiquiti airMAX NanoStation M5 CPE (NSM5) is one of the most popular wireless network bridges in the airMAX range. It is an all-in-one indoor/outdoor unit featuring a dual polarised 16 dBi antenna with MIMO compatibility for the 5GHz band. As well as the high data transfer rates with the use of 802.11n standard, time multiplex TDMA allows the unit to connect to multiple clients with low latency in AP mode. With its sleek form factor, cost effective price point, and versatile mounting options, the airMAX M5 is ideal for Point-to-MultiPoint (PtMP) applications requiring high-performance CPE installations. In an ideal link between 2 radios, it allows real connection speeds up to 150 Mbps. At a distance of up to 1km line of sight, it offers real world speeds of between 50-80 Mbps. Ubiquiti�s airMAX technology allows the NanoStation M5 to create secure PTP or PTMP links between other products in the Ubiquiti airMAX range. The NanoStation M5 utilises the much clearer 5GHz frequency, this offers less interference and is ideal for city use when deploying multiple cameras, outdoor access points, linking between two buildings, or events for static services such as car parks. 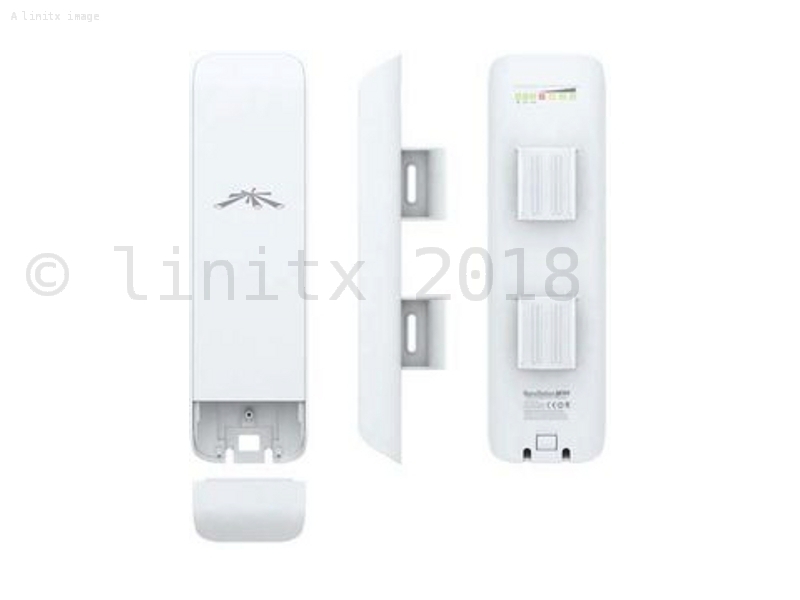 We highly recommend the Ubiquiti airMAX NanoBeam NBE-M5-19 for customers needing longer links of up to 2km. This wireless network bridge has a narrower beam width, offering reduced interference and a more directional link. We also stock various mounting solutions for window, wall or pole mounting for exterior installs. 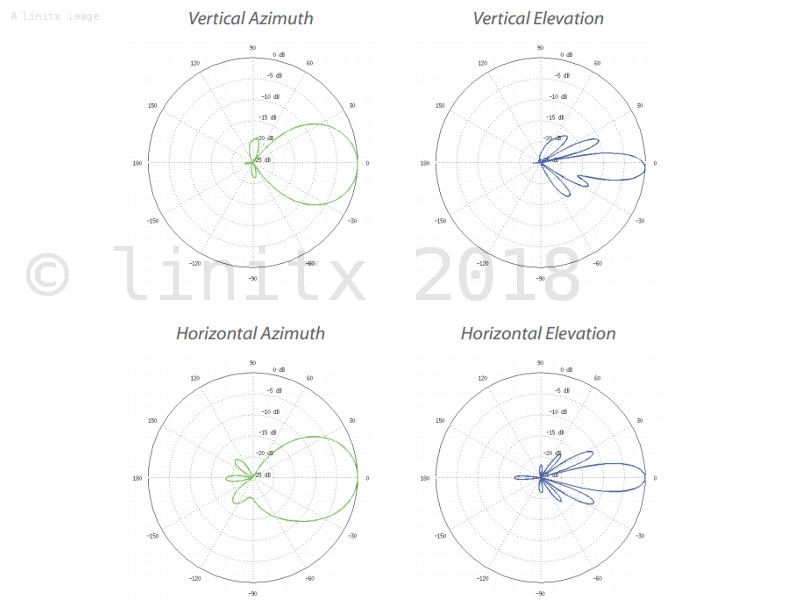 LinITX also stock the Ubiquiti airMAX 5AC NanoStation NS-5AC, which allows for more throughput than the NSM5. Ordered the kit 2 times. Well packaged/Configured with clear instructions. They always provide a timely service.